Hello lovelies! I just got to Moscow after a fantastic weekend in Paris- the city of my dreams! My trip was short but very sweet, and I flew from Joburg straight to Paris, and now I am in Moscow for the next few weeks. 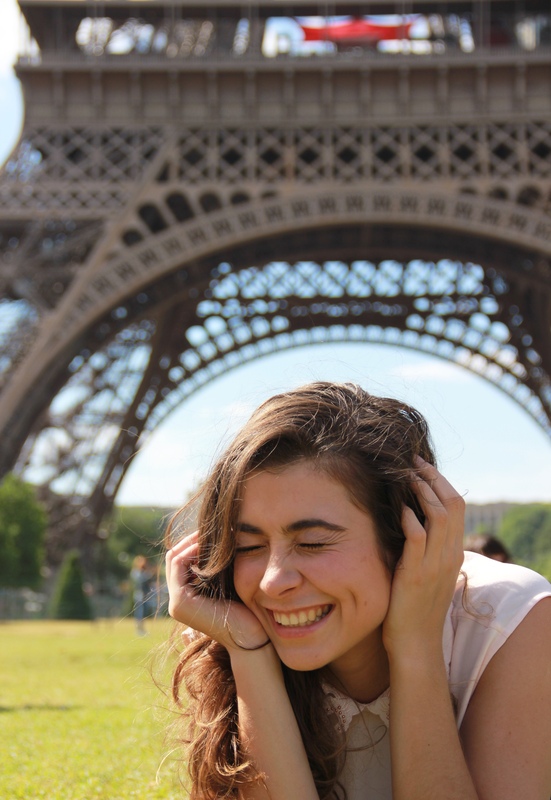 Paris was everything I expected and more! I could have used a few more days to go into the Louvre and the Notre Dame, but this time around I said that I didn’t come to Paris to stand in ques. 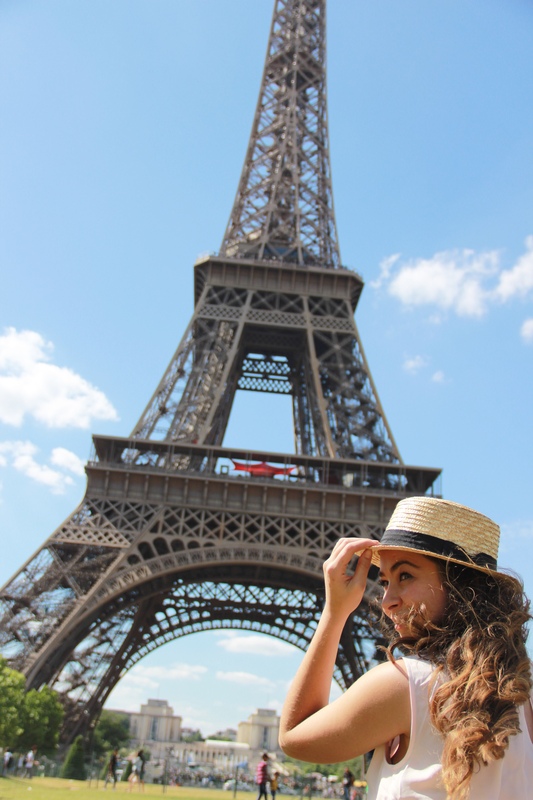 I came to walk the beautiful streets, eat as much delicious stuff as I can, and of course visit the Eiffel Tower! 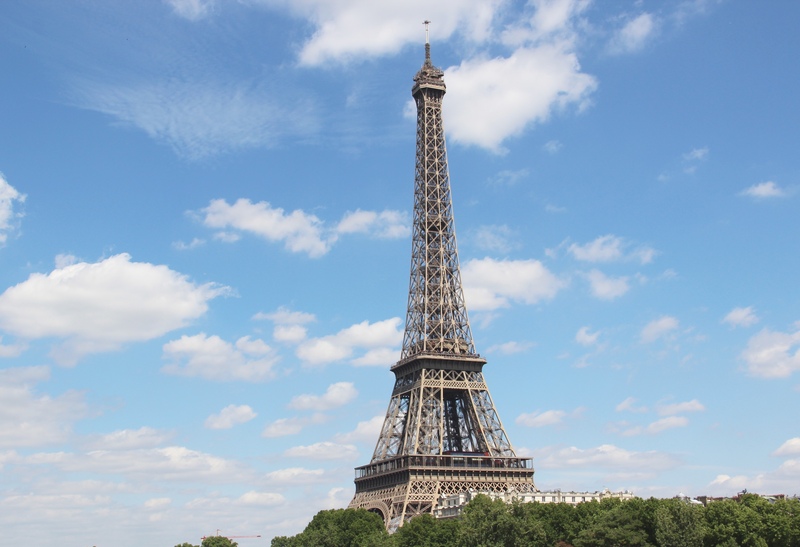 I got butterflies while we walking, and I saw the Eiffel Tower peek out for the first time- it is so beautiful! You see it on many pictures and souvenir-type things, but honestly nothing can describe its beauty until you see it in person. It is grand, and it is so beautiful! I did a bit of research before I went, but just in case you didn’t know, the Eiffel Tower was built in 1889,and it was built for the World Fair to mark 100 years since the French Revolution.It was almost taken down twice, but luckily none of that happened as its now know as one of the most cherished and loved French symbols.We didn’t go up the tower(I didn’t see the need to be honest), but we walked around it for hours, and lay around on Champs de Mars admiring its beauty! 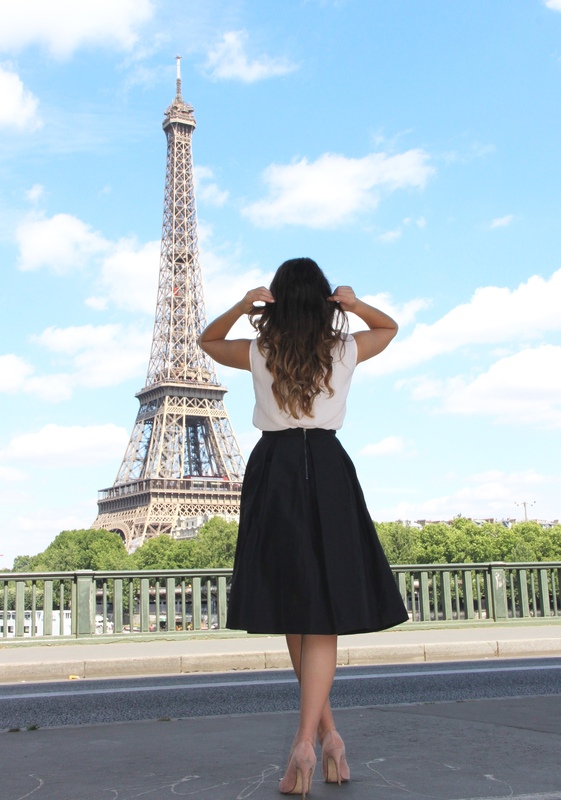 For my “meeting” with the Eiffel Tower, I wanted to wear something simple and classic, but something that identifies with who I am- and of course midi skirts and me are synonymous! This gorgeous black skirt is from Forever New, and I wore it with a soft pink Ted Baker blouse with pretty collar details. My new Dune heels and Anni King bag finished the look, and it was a little bit hot while we were walking around, so I wore my new straw hat from Mr.Price every now and then. I was super tired after travelling for the whole day, but the beauty of the Eiffel Tower will wake you up! Gah, it’s beautiful! Definitely want to go there “someday” 🙂 And those Dune shoes are everything!